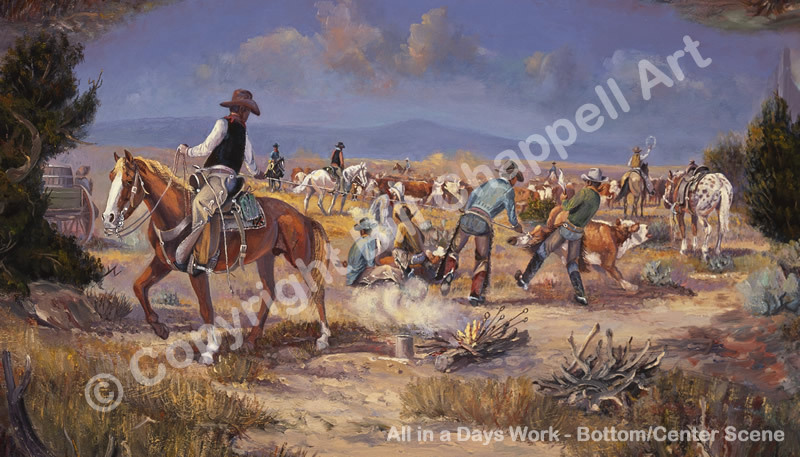 Six scenes, all in one painting, show activities that made up a ranch cowboy's day. This complex piece is one of Bill's best works. This is an exceptional card and can easily be framed to make an excellent picture. A card that becomes a gift!